To use AWS CLI, you need to first make sure your AWS access key credentials are configured properly. Once you have your AWS access_key_id and secret_access_key, you can either manually add them to the credentials file, or use aws configure command to set it up on your local machine. When you execute aws configure command without any argument, you’ll be configuring aws credentials as your default profile. [None] – This indicates that you don’t have any existing access-key-id/secret-access-key setup on your system for default profile, and will prompt you for new values. Region Name – This is optional. If you leave this empty, you should specify region in all your AWS CLI commands using –region parameter, else you’ll get an error message. [default] – This section indicates that these value belong to the default profile. Keep in mind that you can have more than one profile configured, which will allow you to execute AWS cli commands against different AWS accounts as shown in examples below. If you want to connect to a different AWS acount from your CLI, then you can change your existing default profile credentials by executing the “aws configure” command again. If you press enter without giving any new value, it will just keep the existing values and not change anything. When you are connecting to multiple AWS account just using the default profile, you’ve to keep changing the values of access_key_id and secret_access_key, which is not practical. In that case, you can create multiple profiles. Let us say you need to use AWS CLI commands to access your AWS-dev account and AWS-prod account. In this case, create a dev profile and a prod profile as explained below. After adding new additional profiles (dev and prod), now we have total of 3 profiles including default profile as shown below in the configuration files. 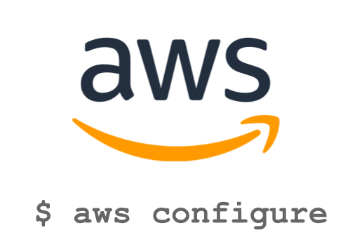 [default] – This contains the credentials information when we just used ‘aws configure’ command without any parameter. This is our default profile. We don’t have a name for this profile. [dev] – This section contains dev profile credentials. [prod] – This section contains prod profile credentials. By default, AWS CLI will use credentials from default profile. For example, the following command will list all the EBS volumes using your default profile credentials. Note: The –profile option can be used with all AWS CLI commands. Specifying profile option in all your CLI can be bit cumbersome. To avoid this, you can set your profile using AWS_PROFILE environment variable. First, set your AWS_PROFILE to connect to AWS-dev account. From now on, any AWS CLI commands that you execute will connect to the AWS-dev account. You don’t need to specify –profile option anymore. The following commands will use dev profile credentials (not the default credentials), as we’ve set the AWS_PROFILE to dev. If you want to connect to AWS-prod account, just set the AWS_PROFILE to prod as shown below. After the above, the following commands will use prod profile credentials to connect to your AWS-prod account. Once you’ve set to either dev or prod, and if you want to connect to the AWS account that points to the default profile, you have two options. You can set AWS_PROFILE to default as shown below. Or, you can simply unset the AWS_PROFILE environment variable, which will then automatically start using the default profile. After the above, the following commands will use default profile credentials to connect to your AWS-prod account. The easy way to view all the profiles that you’ve configured on your system is to view the content of config and credentials files. The list option in the aws configure command will display the information about the current profile as shown below. In the above, profile – The 1st line displays which profile you are using. In the “Value” column of the 1st line (i.e for profile), it says “”, this indicates that currently you are connected to “default” profile. If you change the profile to “prod”, you’ll see the “Value” column of the 1st line will say “prod” as shown below. You can also pass the profile name to view profile information without changing your current profile as shown below. In the following output, the “Location” column of the last line (region) indicates which config file it is using. If you want to just view one value from your config or credentials file, use the get option in the aws configure commands using the following syntax. The get command is helpful if you are scripting something and want to get profile information inside your shell script. The following will only display the access_key_id of the current profile. Configure get and set commands can be helpful, if you are writing a shell script to manipulate the values of your config/credentials files. You can just set a value of one specific parameter as shown below. You can add models based on the information from a json file. For example, if you have a AWS CLI version that doesn’t have Amazon Polly, then you can reinstall the AWS CLI to get the polly. Or, you can download polly’s model file, and use the add-model option in aws configure as shown below. The above command will create ~/.aws/models directory and create the following sub-directory based on the information from the given json file. The following is the first few lines of the json file that was used in the above example. The above file is the same as the one that we used during our add-model. You can also specify a different service-name by passing the –service-name parameter as shown below. The above will create a sub-directory under ~/.aws/models with the service-name that you’ve specified as shown below.